CAO Cameroon Belicoso cigars are at the top of the list of the world's finest cigars. The CAO Cameroon and CAO Brazilia lines were ranked #1 and #2 in the world, according to the June 2002 issue of Cigar Aficionado magazine. 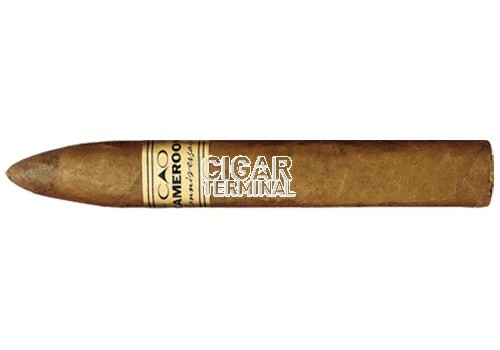 Introduced in 1999, CAO Cameroon Belicoso cigars are at the top of the list of the world's finest cigars. The CAO Cameroon and CAO Brazilia lines were ranked #1 and #2 in the world, according to the June 2002 issue of Cigar Aficionado magazine. 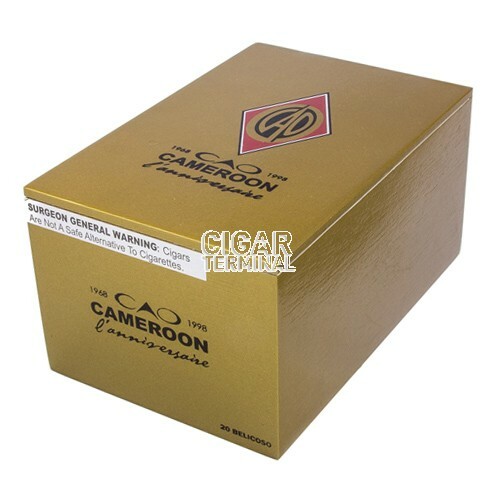 CAO Cameroon cigars are box-pressed with vintage cameroon wrappers complimenting nicaraguan fillers and binders delivering complex flavors of cocoa, coffee and cedar notes.